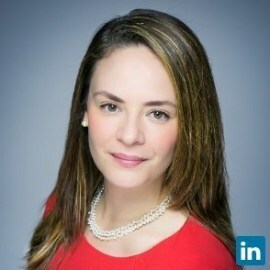 Allison Paz is the Senior FinTech Analyst in BNY Mellon’s Corporate Strategy & Development Group, leading investment strategy for emerging business and technology partnerships. A financial technology banker with experience across many areas of the industry, including securities servicing, operational outsourcing, strategic relationship management and credit banking for asset managers and insurance companies, she most recently served as the Head of Strategy for the firm’s Emerging Business & Technology Group, working to build out BNY Mellon’s strategic investments and disruptive technologies strategy, and leading partnerships with the World Economic Forum, enterprise client relationships and the startup community. She began her career at Scotia Capital consulting offshore technology teams. Additionally, she has served as a mentor at Work-bench, Startupbootcamp and Stockcircles. She is a candidate for a Master of Computer Science from the Polytechnic School of Engineering at New York University and received a Bachelor of Arts from Oberlin College in Digital Media. She is on the Advisory Board of Blockmatics, a blockchain education company, and on the Board of Directors of the Wall Street Blockchain Alliance.